This car was extremely dirty. It has its dents. And it had a (typical in allot of black cb Accords) tan interior/black dash. Very dirty and stained also. Ok so fast forward to now. A year later. I don’t have some of the early build process pics due to a busted phone. This car has transformed into a decent ride. I put a good f22a6 back in it from a wrecked cb9 with only 112,00 on it. There is like 270,000 on the chassis right now. I did the 5 lug conversion early on also. 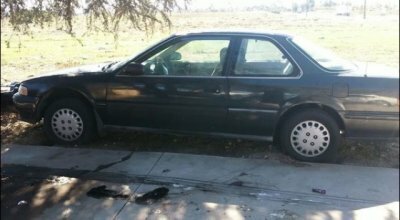 Before it even ran lol. 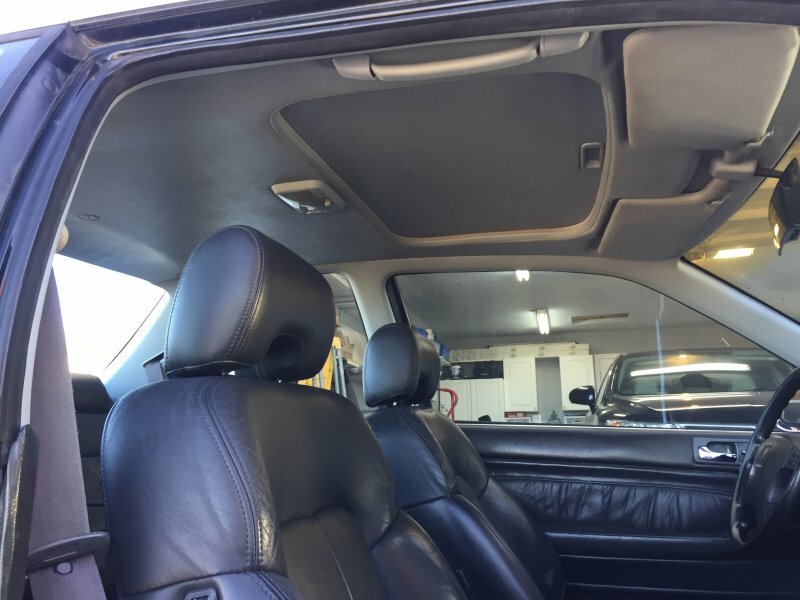 The interior is also a complete makeover. 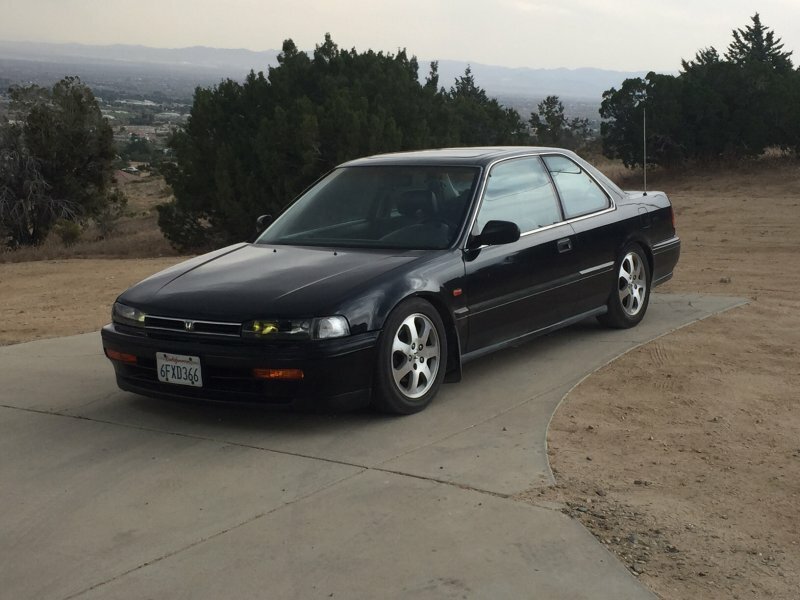 Full 5 lug conversion(2000 Accord complete front knuckles. 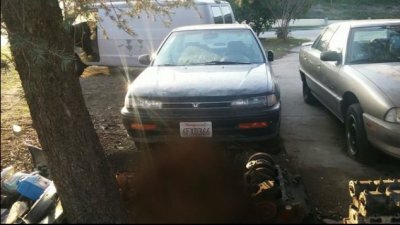 Prelude hubs & Integra type R rotors out back. 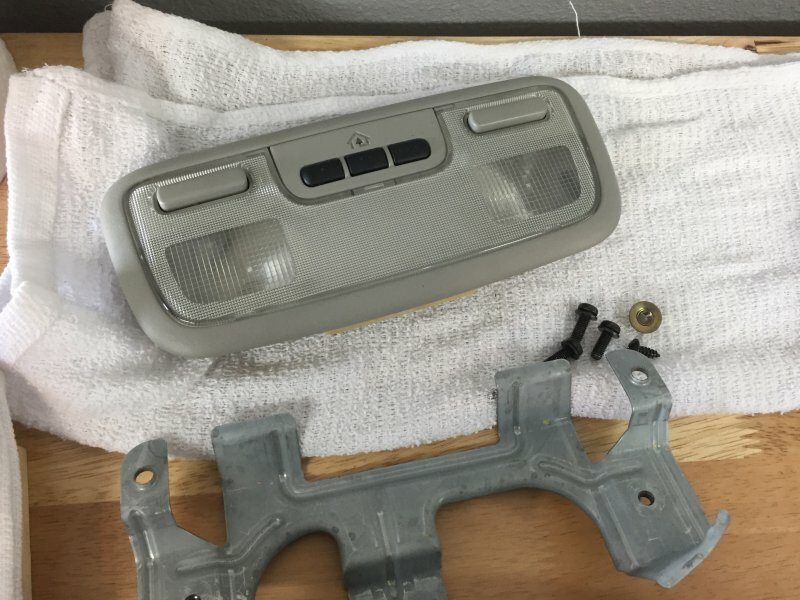 Dual filliment bumper light mod. Last edited by NH-503P-3; 05-12-2018 at 10:25 PM. Super nice. Where'd you get the paint done? The paint is a very badly done respray. The hood, bumpers and fenders I pulled from other black cars at pap. I clayed the whole car then compounded, polished and waxed it. That’s all. 10 feet away it looks great lol. It's not perfect, but hey it's a lot better than it was. 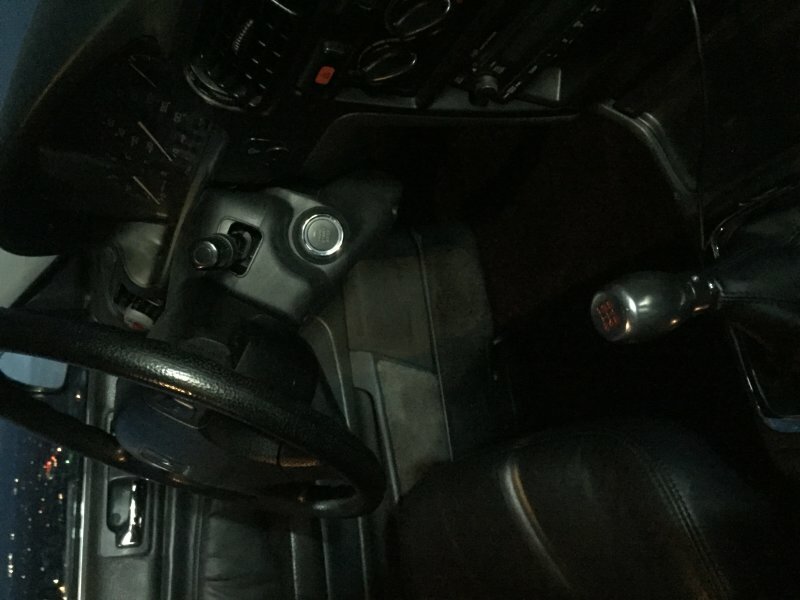 Not to mention the interior is pristine now. Where's you get the mats? They look like they fit great. The mats are 1st gen CL. 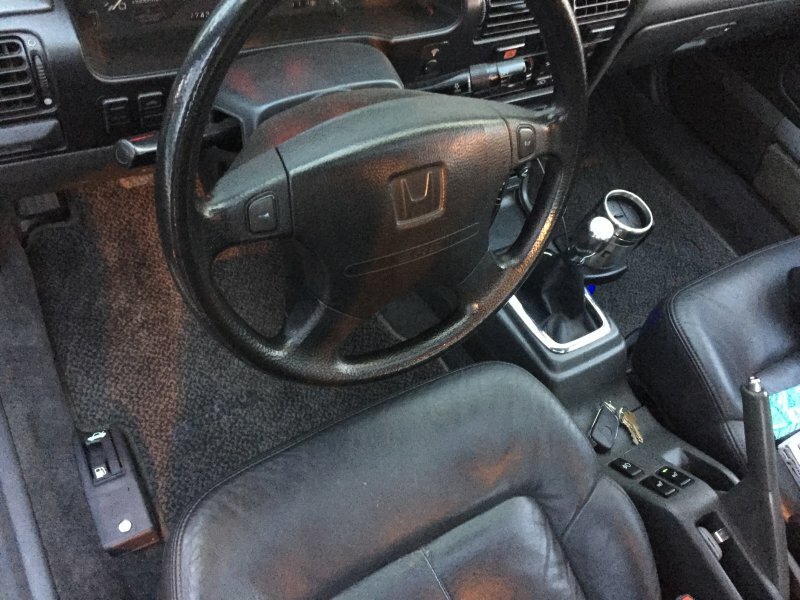 Since I have the 1st gen CL carpet the same floor mats had to go in also. And here is the push button start. I fully removed my keyed ignition behind it. They look so stealth you can barely see the handle now. I love it. Looks great, and it's a nice theft deterrent as well. I'm not sure if I'd be as trusting in the system to always work, though. 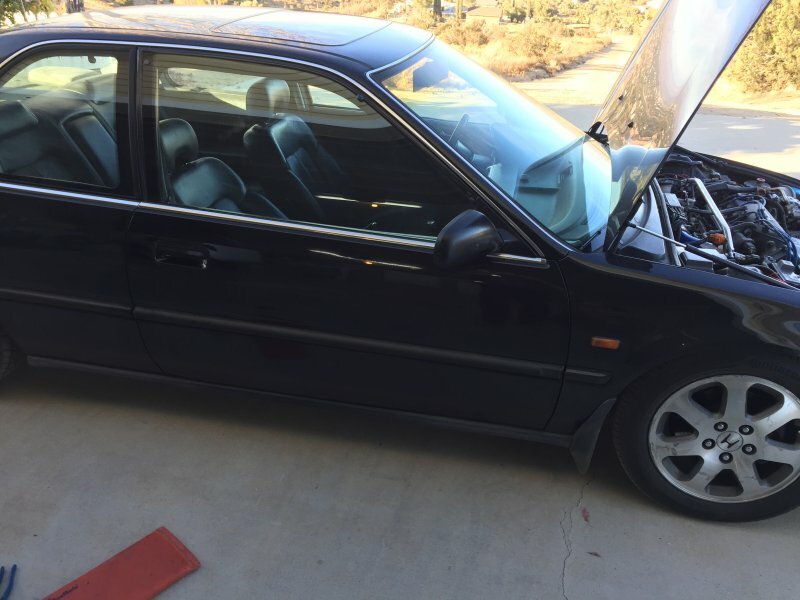 The whole car is looking great, by the way. I'm having trouble getting over that gorgeous interior. Those CL mats fit so perfectly around things like the dead pedal and trunk/gas latches, too. I like what you did with the locks on the car, although I'm with Cyborg on this one. I still just can't trust it. I'd rather have a physical option still present to open the doors. 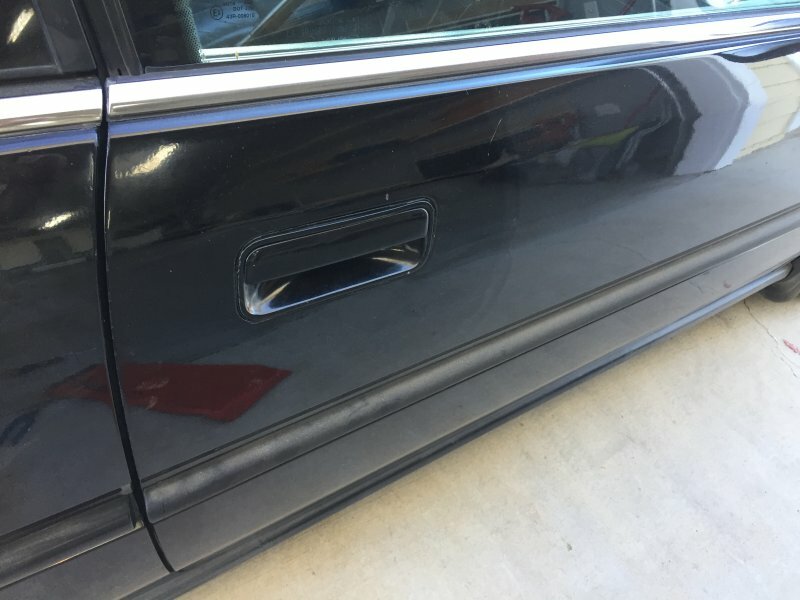 A push button like old school hot rods under the side skirts or something, paired with an remote door lock, still with access into the trunk via key. I just can't trust our non secured wireless devices. Car is looking great though man. I can't wait to see what all else that you have in store for this car long term. Glad that you finally made a MRT. Thanks for the compliments guys. 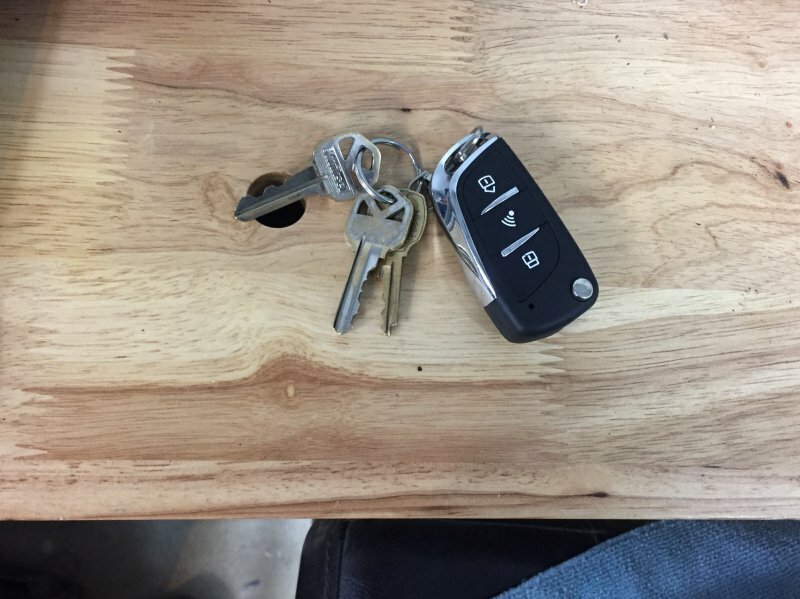 My key fob does have a switch blade key that is cut for my locks so I can get in through the trunk if I have to. Either that or I always have AAA. I’m not sweating it. The fact that I can carry my lunch bag and coffee to my car early in the morning (it’s dark) without having to press a button or get my keys out makes it so worth it lol. This car really only goes to and from my work anyways. I drive my truck on the weekends and out an about when I’m not working. 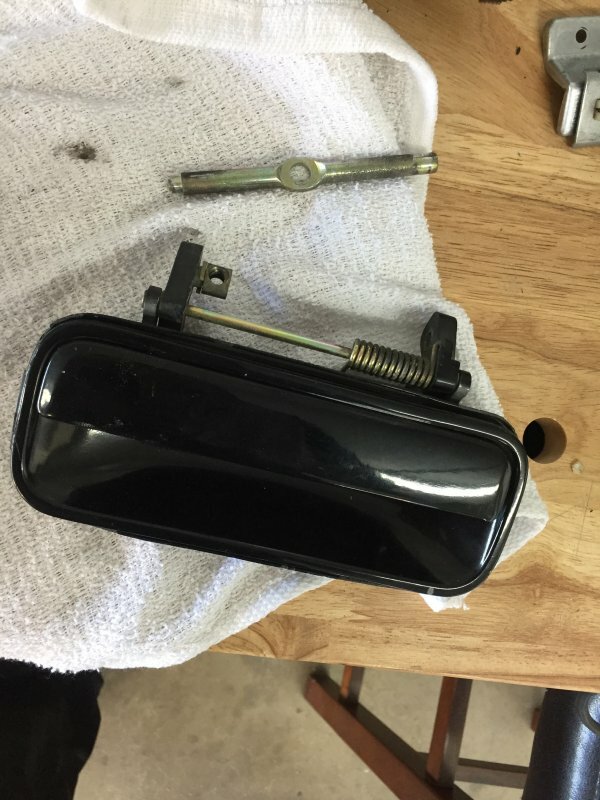 When I had the driver door panel off I had the opportunity to swap out my window/lock control switch cover. My old one looked like someone went to town with a screwdriver on it. I also put switches in that have the lettering still on them. I put a heated mirror switch in just for looks and nicer lettering also. Solaris silver SE. the back seat was not bad. 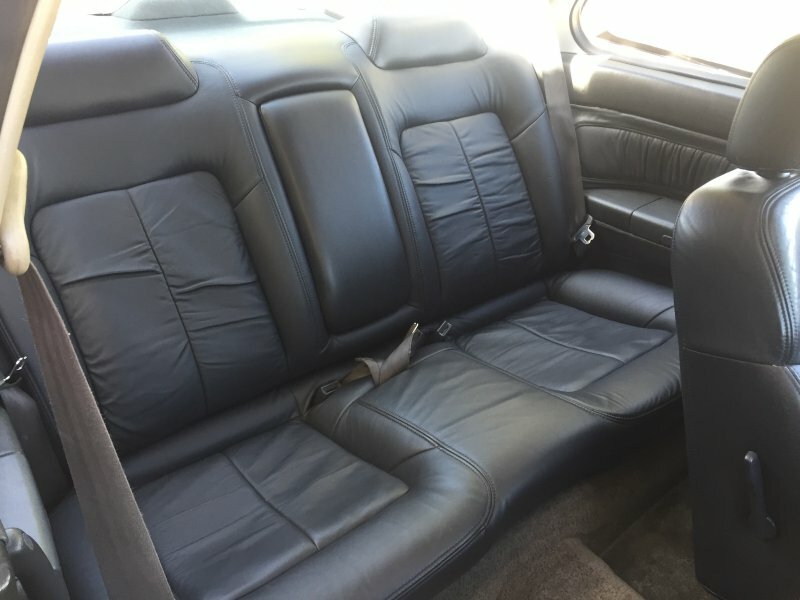 I might grab it since I have all the black interior pieces for the Solaris SE but the seats up in my attic plus extra black pieces since I like to hoard them. I did grab the complete rear speakers, ash tray, miscellaneous black trunk pieces that usually go missing first. 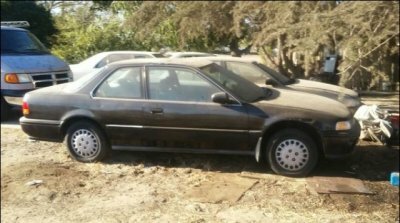 There was also a 93 SE sedan. 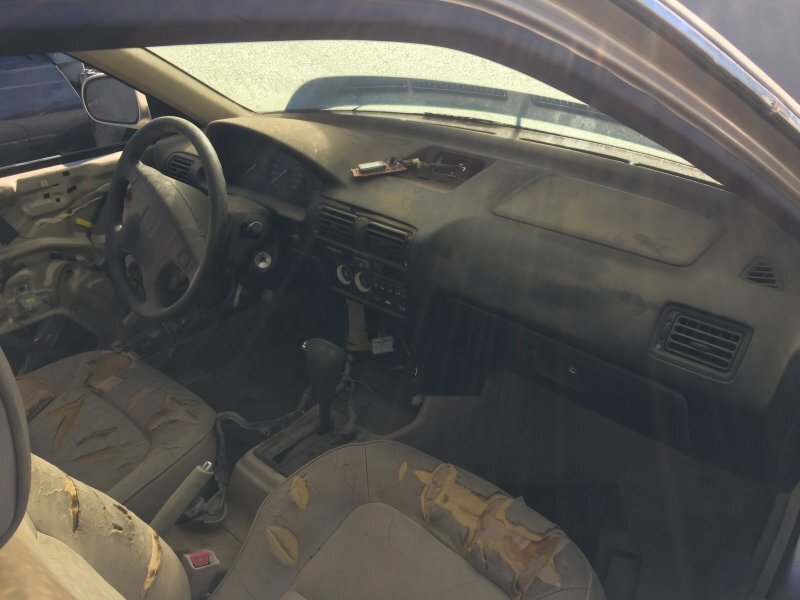 I might grab this dash to throw in the attic to add to my black interior build. 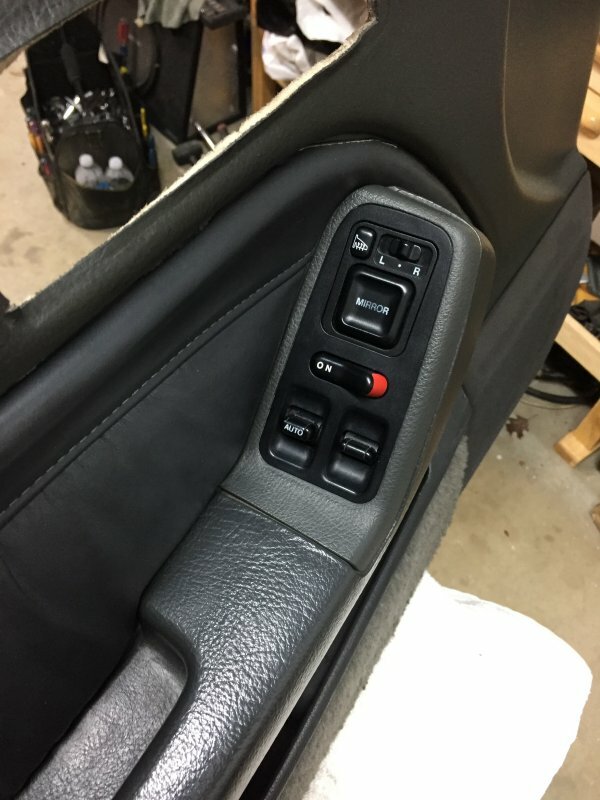 I did finish the Acura CL gray leather console top and installed the optional console in my car. What a joy that diy was. I still have a lil gap between it and the shifter console piece because I haven’t locked it down with the two almost impossible to get in 12mm bolts that go in up front. Since I need to remove the dash pretty soon I’ll just leave well enough alone. 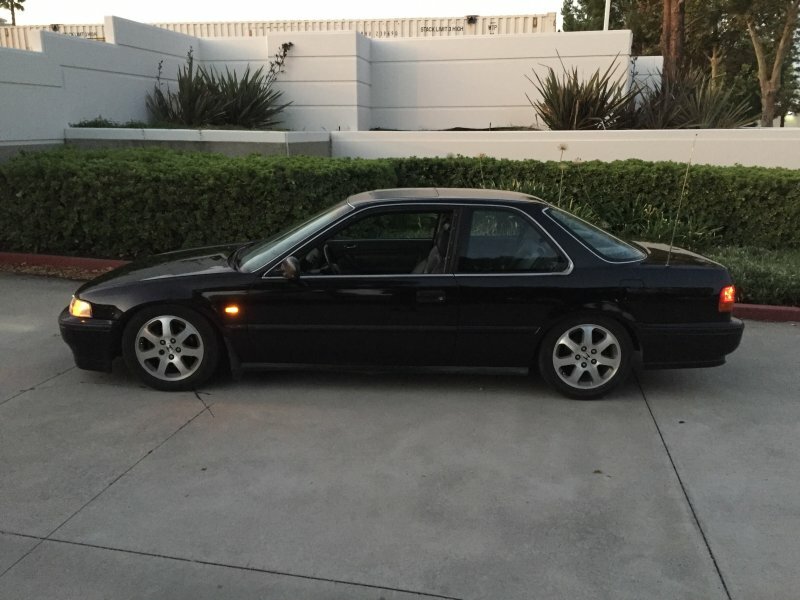 I was very happy to score this from a 98 Acura CL today also. The right color maplight/homelink that is barely a shade off from my headliner. Not enough to tell by the everyday looker. 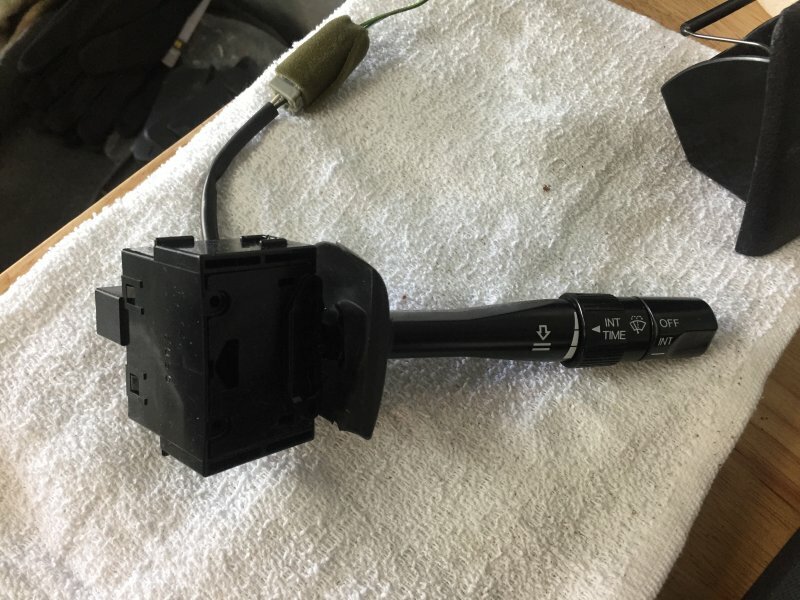 I also got this intermittent wiper stalk from an Acura TL. It’s kinda nice because not only is the lettering very clean it also has a dust apron on it. 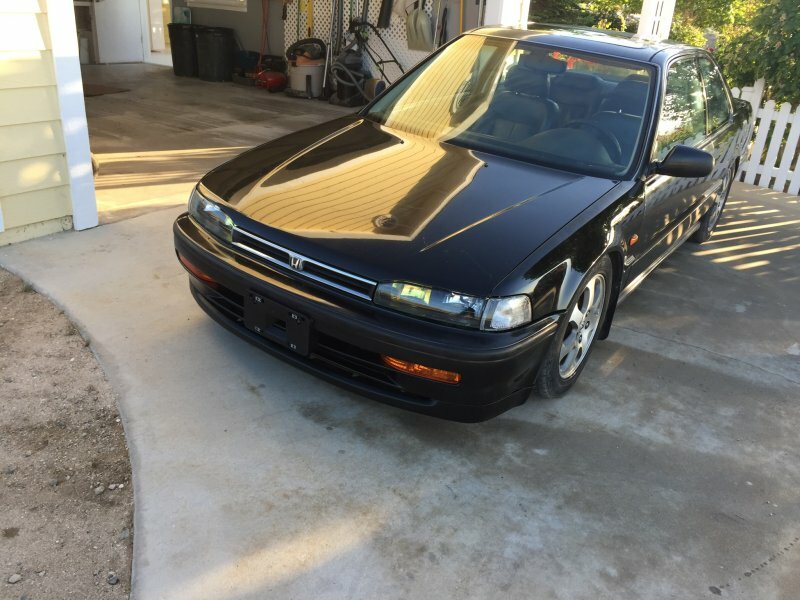 I don’t remember the one I pulled from a CD Accord for my car having this dust apron. Threads like these are what made me love the CB Chassis! Good job man. I love the idea of no locks on the handle. Hopefully the fob continuously works. Only the TL's have the stalk boots. I have them on my arms as well. Both sides, the blinker has one as well, just slide the boot off the arm. Also you don't bolt down the center console with it attached to the car. 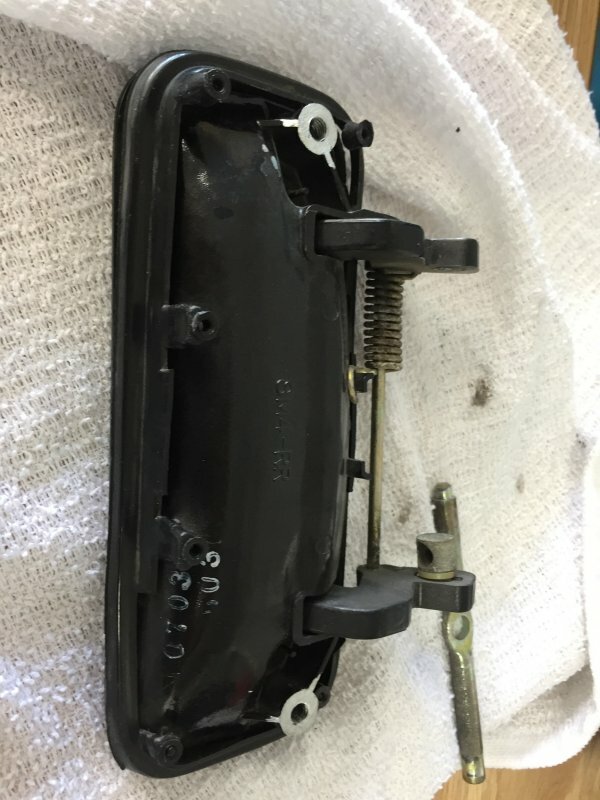 You bolt it down and then place the center console over it and put in the 2 screws through the 2 lower button openings, way easier. 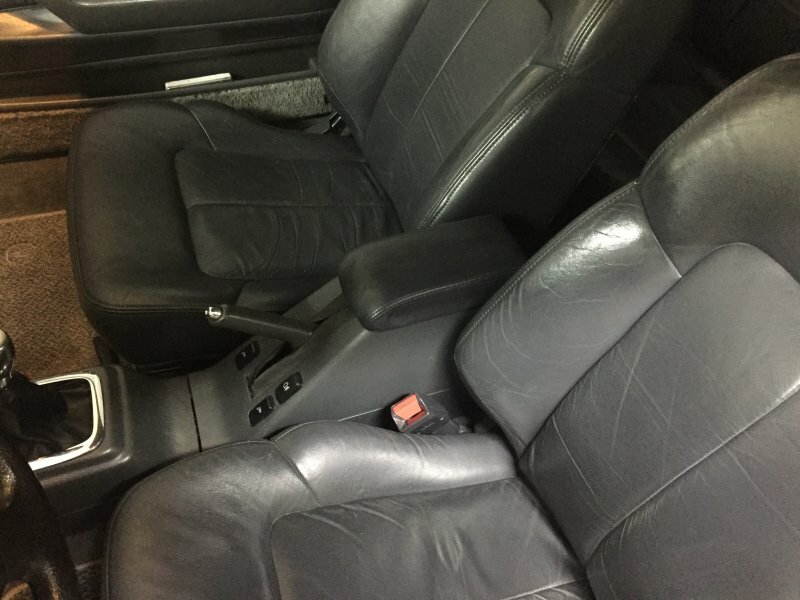 Do you have any pictures on how you did the CL arm rest top on the CB arm rest? I'd like to know as finding the CL's are far easier than the CB's with leather. How does the TL arm fit into the CB, is the angle the same of the stalk? I installed it all complete then down on the body. I need like a magnetic socket to keep the 10mm bolts held in while I slide an extension down in there to get them in. Idk I’ll have to try it the way I think you’re describing it lol. I do have one pic that kinda shows it. I folded it down in the back and glued it. It’s about as good as I can do it. The whole piece of leather is a tad wider and longer so it won’t be perfect. There’s no good way to do the rear besides folding it down. On the TL stalk. I have not installed it yet. I've really enjoyed reading this thread. It's taken almost all of the interior parts from the thread detailing non-CB parts that fit onto the CB and combined them into one car. The car looks amazing, too! 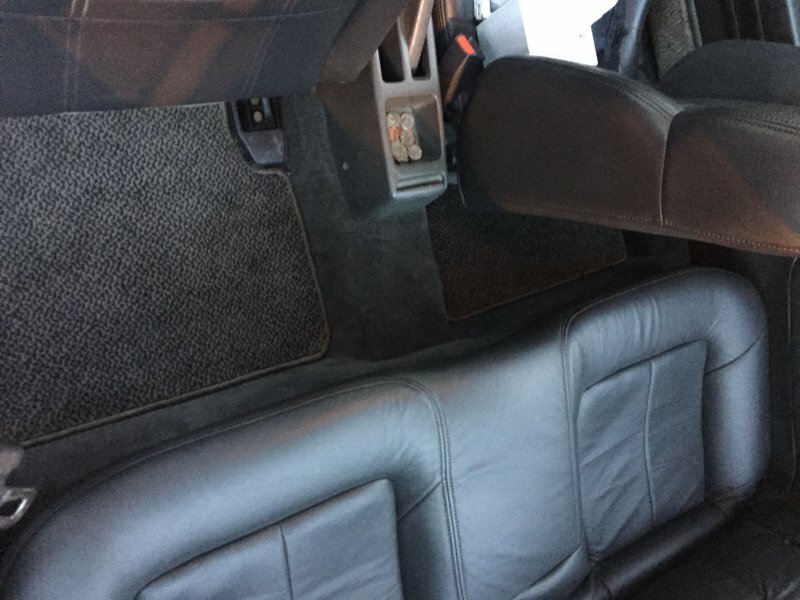 I have a black-dyed CB carpet now, as well as a black carpet from my old '03 CLS6 that I planned to fit into the Accord. With how this one has turned out, I may scrap that idea and just find a '98-'99 CL with good carpet and grab that! It looks dark enough to pass in a black interior. Is there any extra jute or padding on the back of it, as opposed to the CB carpet? Today I hit the two paps that are closer in my area. I got a nice gray dash. Finally. 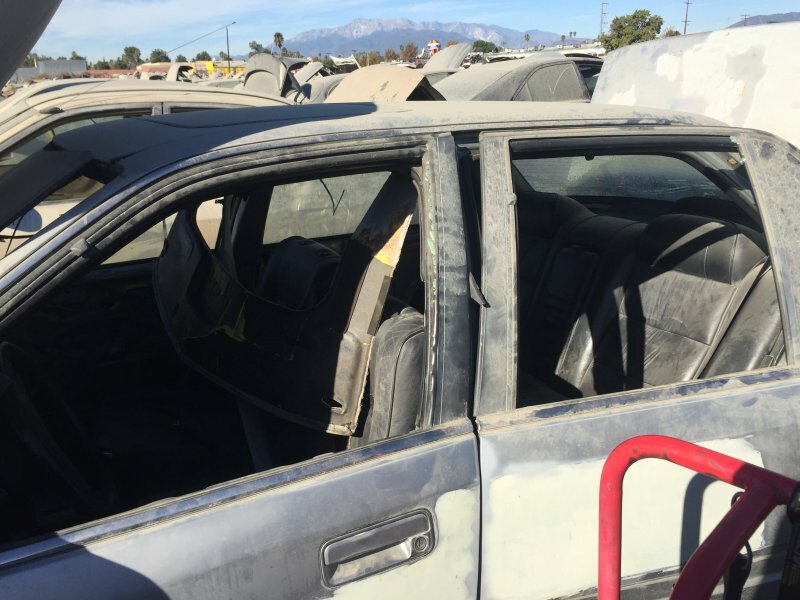 The sedan also had gray leather. Very rare. The door panels them selves were all messed up. 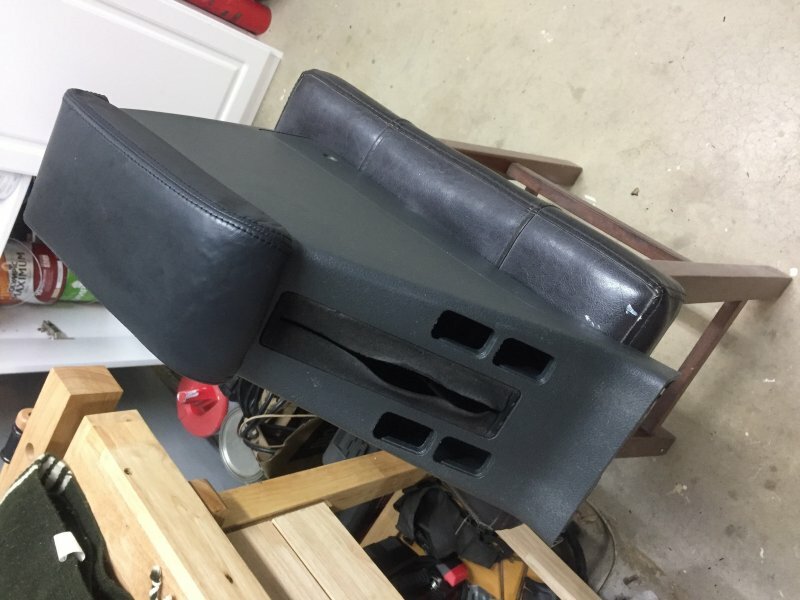 Since the leather was already pulling away from the panels but not torn anywhere I just removed the arm rests and pulled the leather the rest of the way from the panel. 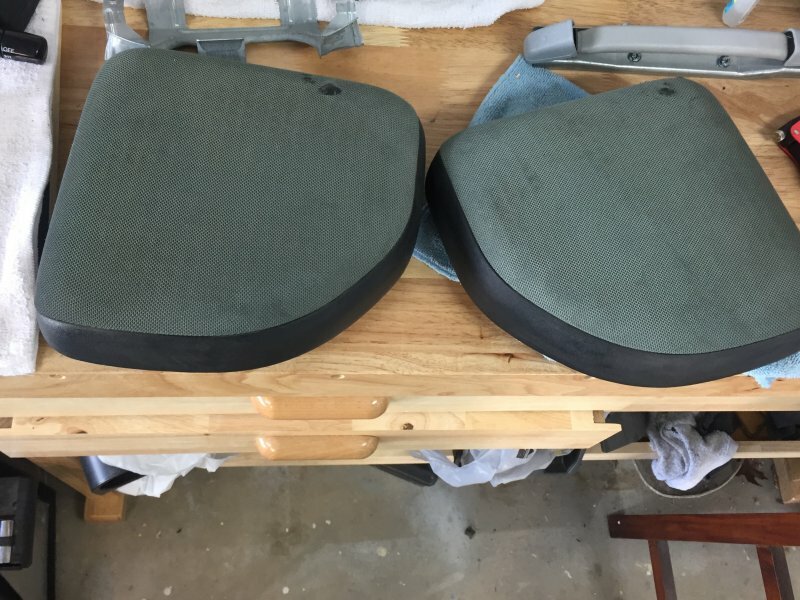 They are still very usable and they can be attached to a nicer set of gray door panels. I’m going to do this the next time I come across leather on panels that are jacked up. I’ve already seen brown leather twice and passed it up. No more. With so many of us opting for nicer leather seats from other cars, the icing on the cake is the door panels with leather to match. 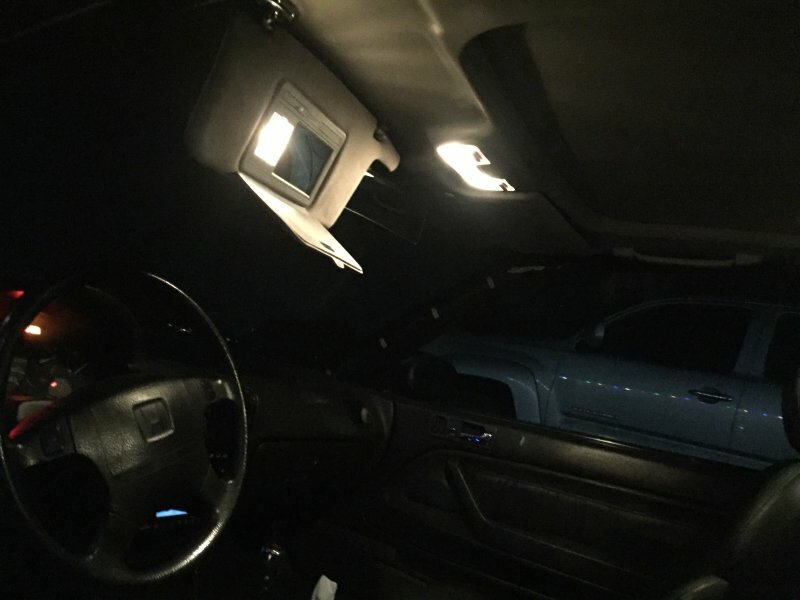 This driver vanity mirror light is apparently very hard to find. 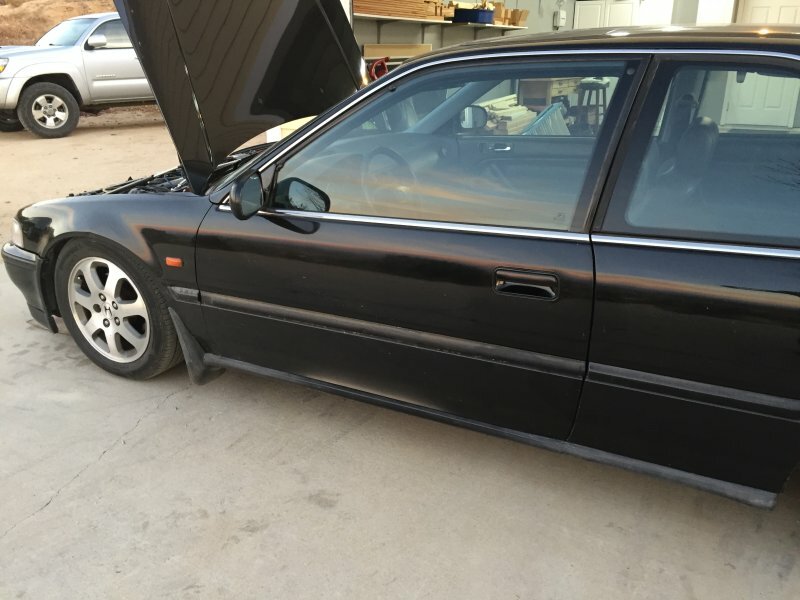 I can’t figure out if it belongs on a certain model. From SE to DX I have not seen another like it. It might be just a weird option. Maybe from the dealer. The chome mount is thicker than the passenger side. Idk why. I’m still pretty stoked I found it. I got done late of course. I don’t hate the fall and winter months but I do hate the short daylight this time of year. I’ll get better pics tomorrow. I gotta fine tune the maplights mounting bracket. There’s not much room between the moonroof assembly metal and the headliner. I think that the sunvisors with lit units are from EX CD Accords. As you noted the chrome mount is a thicker mounting, but the shape of the overall visor is the same as the CB and allows for them to be installed pretty easily. You might be right. Maybe it’s not hard to find at all. You just gotta look in the right model car lol. I didn’t think CD Accords would have the same color headliners either. 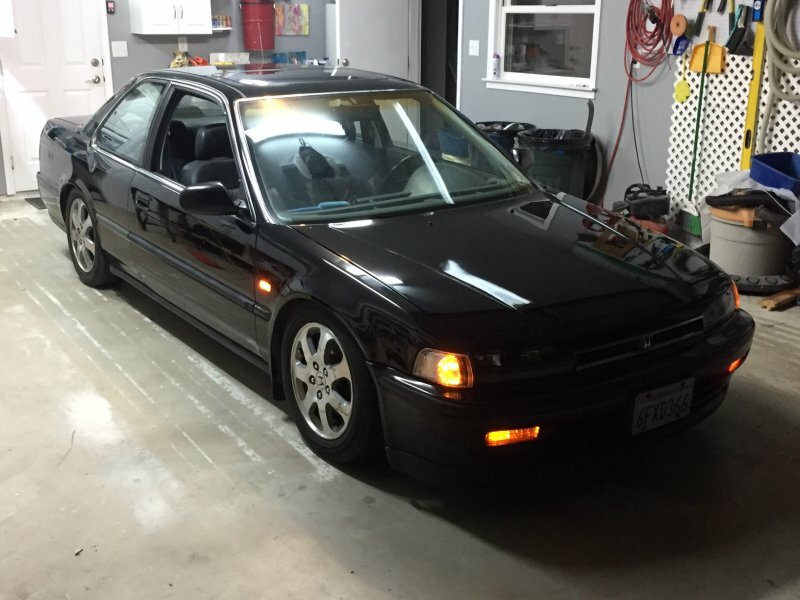 If it is the case I’m going to get a CD Accord passenger side one also to match. Learn something new every day lol.